SRN, RMN, Dip N, Dip IASMI(Thorn accredited), BSc (Hons), PGCE, MSc MH Practice, Certificate in the Advanced Diploma in Relational Supervision. I am currently working as an Independent Mental Health Practitioner, Supervisor and Trainer. I have worked in health services since 1977, training as a general Nurse & then as a psychiatric nurse. I have worked in both hospital and community settings, alongside those with a number of different health related issues, across a variety of age ranges. I have experience of working with individuals, groups and a variety of organisations. Before leaving the local NHS MH Trust I was part of Psychological Therapies and I am keen to promote well-being by exploring options available that are physiological, practical, emotional and psychological,working in partnership in a structured way, using compassionate approaches. Specific issues explored often include poor self confidence, stress, anxiety, depression and self doubt. Changes in behaviour such as not going out, poor sleep patterns, weight management or use of alcohol can be focused on. I am also able to work with those offering a supportive and or caring role to someone. I have a Certificate in the Advanced Diploma in Relational Supervision. I am used to working with a range of professional groups including Nurses, Social Workers, Occupational Therapists, Psychologists and Doctors both within and alongside NHS services. I am able to design and deliver training as well as supervise specific projects within organisations. My role within Severn Talking Therapy includes helping to organise a regular conference about Supervision, formerly organised by the British Association for Supervision Practice and Research. I am a member of the Nursing Midwifery Council, the Royal College of Nursing and the Mental Health Nurses Association. Since 1996 I have designed and delivered courses at varying levels of academia from awareness training to degree level training at the local university, in a variety of organisations. In my role as Clinical Specialist for Psychosocial Interventions in the local NHS Foundation Trust I offered both individual and group supervision across a range of services in a number of settings. 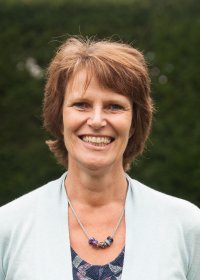 My specialist subjects included family work for psychosis, medication management, working with high risk patients and facilitating weight management groups and improving the physical health of those who use mental health services. My supervision could be described at different times as educational, consultancy, reparative and managerial. I offer supervision in an individual or group setting in which we negotiate the purpose of our meeting, the length and regularity of meetings, and the recording of any notes made. We conclude by summarising what has been discussed and agreed and how the meeting has been experienced by those present. I am used to working with a range of professional groups including Nurses, Social Workers, Occupational Therapists, Psychologists and Doctors both within and alongside NHS services. My work includes helping to organise a conference about Supervision, formerly organised by the British Association for Supervision Practice and Research. My supervisor is a counsellor, coach, and trainer working in both small and large organisational settings. I was part of national project by the Institute of Psychiatry to supervise & train others to combine Cognitive Behavioural Interventions with Motivational Interviewing Techniques. I have written about individual and family work with someone experiencing a severe and enduring mental illness. I have also co authored a manual for practitioners offering family work to those who experience enduring mental health such as psychosis and dementia. Co-author with Gray. R. (2002) ‘Medication Management dissemination project group. Sweetening the pills’. Mental Health Today. February, pages 22-24. This reported on the national dissemination programme about Medication Management co-ordinated by the Institute of Psychiatry. This followed a PhD by Richard Gray, which improved patient outcomes by using Cognitive Behavioural Therapy with Motivational Interviewing to increase concordance with antipsychotic medication. I was one of a small number of clinicians invited from across the nation to attend training at the IOP. As an honorary tutor of the IOP I then returned to my locality to train other practitioners to use these techniques when working with service users. Co-authored with Thompson. R. (2007) ‘Integrating approaches: how family and individual work went beyond managing the illness & transformed Roger’s life’ in Davis. E, Drage. M, Smith. G and Velleman. R. (Eds) Changing Outcomes in Psychosis: Case studies from users, carers and practitioners. Blackwell Publishing. Chapter 5. Co-authored with Gina Smith and Karl Gregory. (2007). An Integrated Approach to Family Work for Psychosis. Jessica Kingsley Publishers, London. This manual is for those working with families or carers of people with severe mental illness, using a structured approach alongside a working relationship. It discusses the core components of family work, why it is offered, who is it for, what it comprises, when it might be offered, where it can be applied and how to do so. It is a practical handbook, which aims to promote recovery from psychosis.